Service of your septic system is critical. Without routine maintenance to keep things running smoothly within the septic environment, your system is liable to malfunction or fail, leaving you with expensive, messy problems. 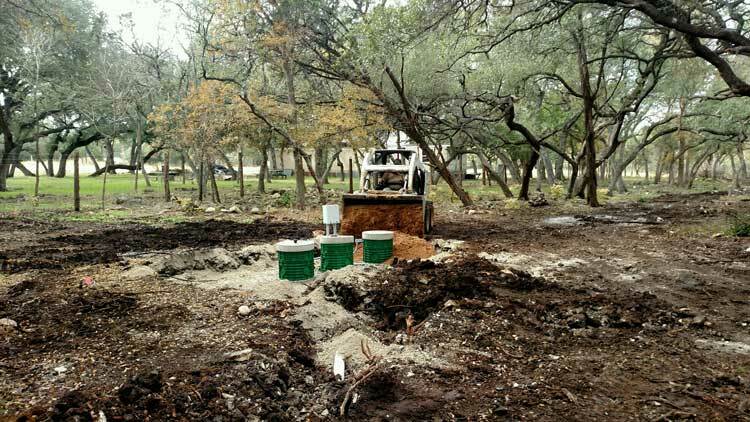 Countryside Construction Inc. is standing by to provide you with comprehensive septic tank maintenance in Canyon Lake, TX. Our well-qualified team of experts knows everything there is to know about aerobic and conventional septic systems—including their maintenance needs and how to repair them to the fullest. We’ll make sure your system is functioning flawlessly, to save you the cost of major repairs or a premature system replacement. Not sure about the efficiency of your system or the efficacy of your septic system environment? An inspection can yield a lot of information about the condition and function of your system. Our team includes trained service technicians who will perform triannual inspections of your complete system, pinpointing areas of concern or delivering a clean bill of health. In fact, we can even perform inspections while you’re not home, leaving a door hanger that details the inspection once it’s complete. If your tank is found to have flaws or there’s a problem with your leach field, our team is your trusted authority on septic system repair in Canyon Lake, TX. From septic air compressors to aerobic sprinkler repair, to leach field drainage pipes and more, we’re fully-equipped with the knowledge and tools to make swift work of septic problems. We handle repairs quickly to minimize downtime and costs for every homeowner. Need the sludge removed from your aerobic digestion tank? Require a rebalancing of your septic tank’s bacteria? We provide the critical maintenance services you need to keep your tank running at peak efficiency. Our goal is always to maximize your system’s performance while minimizing cost. Don’t let your septic system fall behind on maintenance or into disrepair. Choose Countryside Construction Inc. for complete septic systems service and have the comfort of knowing your system is always in qualified hands. Contact us today at 830-899-2615 to schedule an inspection or service appointment.